With their 20th (yes, 20th!) 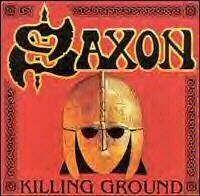 album, England's Saxon have surely proven their endurance and longevity. After some mighty lean years in the 90's, the veteran metal band is enjoying a resurgence of sorts and "Killing Ground" should do nothing to hurt their reputation. Their previous record "Metalhead" was heavy enough, but the pace was plodding and the atmosphere was gloomy. "Killing Ground" plays around with a lot of different feels, ranging from speed metal to progressive epics to down-and-dirty blues rock. The record hangs together extremely well as a whole and the production is excellent. It seems strange but singer Biff Byford, a grizzled vet if ever there was one, has blossomed into a multi-talented vocalist with great range. Something we couldn't really accuse him of earlier. Kudos, also, to longtime guitarist Paul Quinn and drummer Fritz Randow (who is incredible live),who help propel the tunes in fine fashion. The young lions of Saxon, Nibbs Carter and Doug Scarrat, put a lot of energy into their performances and keep the old boys on their toes. "Killing Ground" can be characterized as nothing but pure British heavy metal, performed with pride by one of the genre's great bands. The album opens with the sound of battle and a minor, hymn-like guitar melody. The title track is a hard-hitting fast paced metal tune that's already faster than just about anything off of "Metalhead". 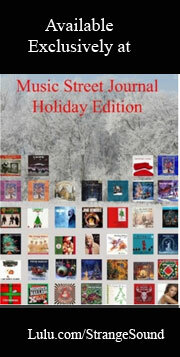 It boasts a stirring, martial-style chorus. It's quite a surprise to offer a cover of the King Crimson classic as the second track in. It's an excellent metalized cover, faithful to the original, and with Biff handling the psychedelic lyrics well. In almost total contrast to the King Crimson tune, this is raw, bluesy rock reeking of the sort of tracks Saxon did early in their career. A little bit on the AC/DC side, this is rough, tough and catchy. This starts off with riffs that are just a slight variation on AC/DC's "Hell's Bells". Again, the band goes for that kind of a feel, with a more involved chorus. This was probably my least favorite track, as it just didn't have the quality of the others. This is a corching speed metal number, with fantasy lyrics. It's a good headbanging track. Here is another "dirty" sounding track, with a rolling riff that surges along. It's pretty heavy in spots and Biff's lyrics relate the bitterness of a relationship gone sour. In the vein of "Dragon's Lair", but not quite up to that standard, this is fast, medieval-sounding metal, with a very melodic chorus. A real grimy-sounding cruncher, this is a cool heavy track that tells the story of the band's misadventures while travelling in Mexico. The standout track on the album and certainly one of the best Saxon songs ever, it's hard to believe the same band that did "Coming Home" could do a multi-layered, soaring epic like this. The opening chords are totally majestic, then the song moves to a mellow, almost breezy feel before heavy riffs come crunching in. The change in Biff's vocals from understated to distorted is breath-taking. The cut is about the birth of nuclear warfare and the attack on Hiroshima. It is just a tremendous track. The closer opens with riffs very reminiscent of Iron Maiden and the band's NWOBHM roots, but the result is pure Saxon and an anthem made for the live venue. The ending chant of "Rock Is Our Life" is a little hackneyed but since these guys have been around so long, that can easily be forgiven.